Bring Me The Horizon announce UK & European tour dates for November including one night in Glasgow’s O2 Academy! Bring Me the Horizon have announced 8 UK dates as part of their upcoming UK & European tour, including one night in Glasgow’s O2 Academy on the 24th of November 2016. Bring Me The Horizon have announced details of a UK tour for November, with Pvris, Neck Deep and Beartooth set to support. The band are primed to release their new album, That’s The Spirit, later this month – an occasion that will be marked by an intimate album release party in Kingston. They have now revealed that they will follow the album’s release with a European tour, which includes four dates in the UK. The British leg of the tour will kick off in Glasgow’s O2 Academy on November 24th, before the band head to Edinburgh, Cardiff, London, Birmingham and finally, the Kingston-upon-Thames Hippodrome. 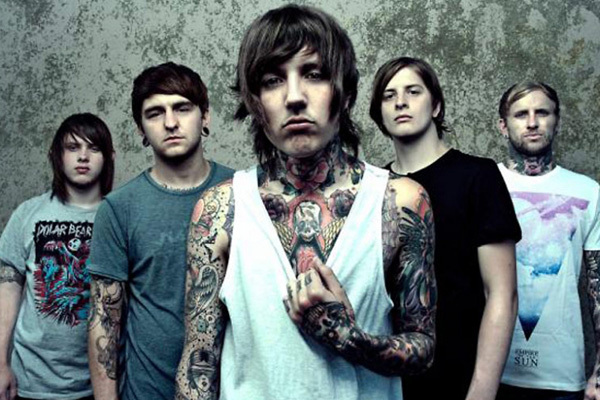 The band played a massive set at Reading & Leeds Festival this summer, during which Oliver Sykes showed his support for Japanese metal idol trio Babymetal, and the band played two new tracks – ‘Follow You’ and ‘Doomed’. This is one band you really don’t want to miss live in Glasgow. Make sure sure you get your tickets soon to see them at the Glasgow O2 Academy on the 24th of November 2016!